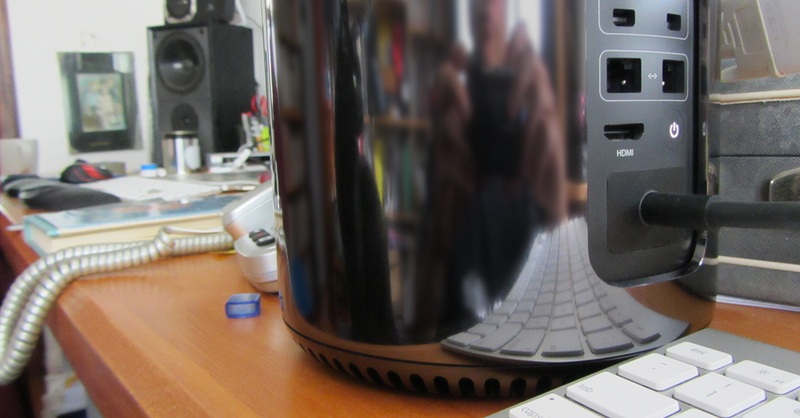 The 2013 Mac Pro is pretty impressive as a piece of industrial design, inside and out. But beyond that, as a dedicated Final Cut Pro workstation (which is how Apple likes to demonstrate it) it’s amazing. But what about for the rest? I mean, sure, you could get one of these to do your email and check Facebook – if you can afford to do that, you can also afford a good head examiner. And that’s what I’d recommend, over buying a 2013 Mac Pro for such simple tasks, if that’s all you want it for. Because this is the first Mac for a long while that has the upper echelons of computing tasks squarely in frame – it really is for professionals. It can do everything else a Mac can do, of course (professionals need to check emails too) but it’s hardly what you’d buy a Mac Pro for. If you’re sane. There are some lovely and surprising design touches: for example, the thin white rims around the port groups all light up brightly when you first turn it on, but after a while they turn off so as not to be distracting. The power cord and plug for this unit is black (white, as is normal for Macs, wouldn’t do) but the plug is curved ever so slightly to perfectly fit the curve of the Mac Pro’s body, to sit flush. The game Borderlands 2 on my 2012 Retina MacBook pro (2.6GHz i7) makes the fans spin up, and stay spinning quite loudly, the whole time it’s open. It’s a bit frustrating because some levels, if you quit out, need starting over from scratch next time you try it, but I don’t like my laptop staying on for hours at full stretch so I can come back to the game and pick up where I left off. Quitting gets the fans back to normal in a minute or so. The MacBook Pro has 16GB RAM and 1GB video card, but it doesn’t seem to make any difference what I change in settings, especially video-wise. Those fans work-out. But on the Mac Pro – but of course, I would have been very surprised if it did. I like asking people what they think of it. My mother in law got quite excited – but that’s because she thought it was a champagne bucket. My brother in law, who designs and builds high-end cabinetry (but isn’t exactly computer-savvy – he still uses a 7-year old white plastic MacBook), said ‘Wow, that’s beautiful. What is it?’ Those who do know what it is are surprised how small it is – jot takes up about an eigth of the volume of the model it replaces. So how fast is it, actually? On my Geekbench test, the Mac Pro had a single-core score of 3590. That’s more than the 2-core (multicore) score of a 2007 MacBook Pro (2.2GHz Core 2 Duo with 4GB RAM), which was 3122. Of course, each core of the new Mac Pro is running at 3GHz, and it’s a much advanced version of the core too: an Intel Xeon E5-1680 v2, with one Processor, eight Cores, and 16 Threads. Multicore, the score is a blistering 25,865. The caches on this thing obviously serve a purpose – some are small but there’s loads of them: L1 Instruction Cache 32Kb (but there are eight of them), and same with the L1 Data Cache. L2 Cache is 245Kb (also x8) but the L3 cache is a rather staggering 25MB. Before the Mac Pro actually shipped, someone Geekbenched a prototype and posted the figures: 23,901. The model I had to salivate over I mean evaluate actually beat that; Apple may have tweaked a few things before release, or made a little software update that let a bottleneck free-up, or something. The main reason the new Mac Pro seems so fast is the two AMD FirePro GPUs. They deliver up to eight times the graphical performance of the previous-generation Mac Pros, but they also help out the CPU when needed … but as many have noted, the aluminium tower Mac Pro video cards were well out-of-date by the time Apple stopped selling it. Critics don’t like the fact there’s not much you can do once you slide the sleek, shiny, sinister-looking case up-and-off. The old Mac Pro had a highly user-welcoming interior space you could open in seconds, and it was full of slots (left). On the new one, all your connectivity is external – but what connectivity! There are six Thunderbolt 2 ports, which combine the two 10GBs channels of Thunderbolt (1) into into a single 20Gbs bi-directional channel. This is ideal for streaming large amounts of data, including 4K video. Thunderbolt 2 can theoretically display 4K video (x3) while simultaneously transferring it at that unified 20 Gbit/s throughput rate. 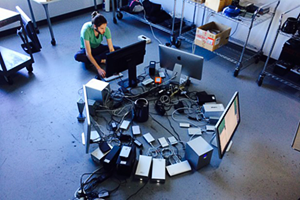 Since up to six Thunderbolt peripherals can be daisy-chained to each port, the Mac Pro can actually support up to 36 Thunderbolt devices … all at once. Once the pros get their heads around this (and the ensuing potential for desk clutter and cable mayhem) this will be a boon. That said, more tech-savvy reviewers have noticed that some of the internal components are actually swappable. So it’s conceivable Apple could release Mac Pro upgrade kits in future, meaning you might be able to keep your investment up-to-date. On launch in late 2013 a few – very few – apps were optimised to take advantage of the new Mac Pro’s multicore powers. Final Cut Pro X is, of course. So is Logic – both Apple software products for professionals. Apple’s Motion is too, and Compressor. That means they’re ready for 4k video as well. But Adobe hasn’t got its (also professional) apps to the point where they’ll take advantage of the Mac Pro (I think you can edit in 4k on PCs? ), while interestingly the fastest rising successor to Photoshop on the Mac, Pixelmator, has been updated to take advantage of the Mac Pro. The Marble version (Pixelmator 3.1), released last week, added support for 16 bits per channel. The Mac Pro has two Graphics Processor Units (GPUs) and the CPU (Central Processing Unit) hands tasks off to GPU capacity using technology Apple calls Grand Central. This adds grunt, if you like, to demanding computing tasks, and Pixelmator 3.1 uses that too, but most other apps simply can’t leverage the full potential of the new Mac Pro at launch, apart from Pixelmator. In the case of Adobe, engineers from companies this important in the personal computing scene usually get to see what’s coming from related concerns, in highest secrecy. This is so they can tool their apps up ready. And it happens more than you think, even between those we think of as rivals. Adobe hasn’t been too happy with Apple for the last few years, but Mac (and latterly, iDevices) are important platforms for its products regardless. You have to wonder why Adobe hasn’t: is it because its engineers didn’t get the opportunity? Didn’t want to, hoping the enlargement of its installed base on Mac since the Final Cut Pro X thing would keep Mac users loyal to Premiere? I don’t know. Wish I did. Maybe it’s coming, maybe it’s not. Meanwhile, if you’re serious about Final Cut Pro X and Logic, the new Mac Pro is a very good reason to stick with Apple – its hardware and software – if you’re one of those pro users working in the fields of moving image and audio. You might even change back to Final Cut Pro X in concert with a purchase of a Mac Pro simply because it’s so awesome. Of course, other pro apps will be coded to take advantage sooner or later. While they’ll feel fast already, on a Mac Pro, this is thanks to its sheer power and all the RAM and other goodness. But they actually promise more power and speed in the future if you’re a Mac Pro user. Buy it now, benefit more later. This is a common trope with various Apple releases over the years. Even OS X promised more power and speed as developers rewrote their apps in native code for it, and adding USB then Thunderbolt to Macs before there were virtually any viable peripherals is another example. It’s an interesting scenario because Apple upset a lot of people when it originally released Final Cut Pro X, changing features and removing multi-cam support. Despite the criticism, Final Cut Pro X had some great features and was far from ‘iMovie Pro’, as some very disgruntled video people branded it. Meaning I copped some of the backlash too (I guess that’s partly what tech bloggers are for – venting at). I don’t know how far the schism carried on. I’m not sure how many angry Final Cut users turned to Adobe’s Premiere or Avid for Mac (meaning they had a lot to relearn, which upsets people too). And I don’t know how many, if any, came back to Apple’s Final Cut Pro once Apple made good on it. Some managed to stay with Apple’s cinematography software, and there’s been a healthy and growing community of people working in that field since, but trust in Apple was shaken. This is what other have been saying (assuming you’ve already read Macworld/TUAW/Apple Insider etc): “It’s a masterpiece of engineering and suitably expensive. 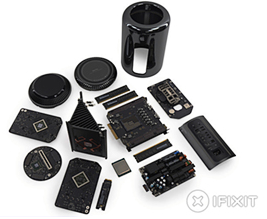 Fresh ideas such as the unified thermal core and backlit expansion ports together with high-performance components combine to make the Mac Pro the ultimate high-end workhorse.” That was TechRadar, not a Mac specific site, and which gives examples of PCs in the same league. The English site IT Pro says “Yes it’s expensive – but after testing we feel the Mac Pro is worth it if you will utilise it to its full potential. Workstations have never looked so good and you get performance, upgradeability and portability as well.” (My italics.) Again, though, not an Apple-centric site. Do I want one? Absolutely. Do I need one? No way. Dang! 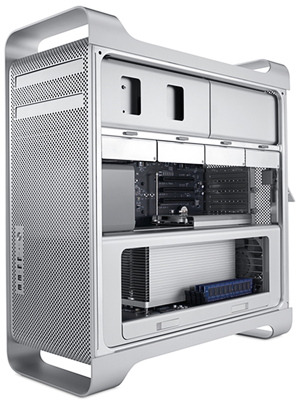 — 2013 ‘assembled in Texas’ Mac Pro, starting NZ$4499 (which is cheaper than when it debuted in late 2013). Square images are everywhere, and luckily your iPhone has the ability built right in, so check out these five tips (sourced from Macworld) that tell you how to do it well. 1/ How to go square — As long as your phone is running iOS 7 or later, you don’t have to go far for cropped shooting: the Camera app has a dedicated Square mode. Just swipe once to the left from the main Camera screen to bring up the cropped shooting screen. 2/ The next step is framing your shot — When it comes to framing your square shot, it’;s a good idea (actually, with all shots) to use the grid. The Grid feature works in both Square and Photo mode and you can enable the grid at any time by going to Settings>Photos & Camera>Grid.) It’s really useful for lining up your vertical and horizontal elements and it shows the ‘rule of thirds’ intersection points for artistic composition. In Square mode, the grid is overlaid in nine even boxes, allowing you to easily line up your subject matter. When you’re shooting smaller subjects, frame them in the top or bottom thirds of your image to provide a stronger composition—especially if you have a strong environment that can provide contrast in its negative space. 3/ Centre — Since the square crop removes most of your extra composition space, some consider it a negative to have to cram their subject inside the frame. But the square crop really highlights subjects you want to centre in your frame; by providing equidistant negative space on all four sides, it places a strong focus on your subject. 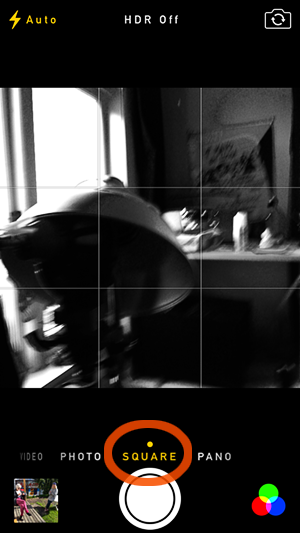 5/ Noir — Another tip is to choose a filter for Square mode by touching the three-circles Filter button. I use Square also as an instant black and white mode, for instance, because it retains the last filter you selected. Apple CEO Tim Cook says everyone should do 80 percent of their work on an iPad… like he does — We’d heard back in 2012 that Apple CEO Tim Cook spent 80-90 percent of his time on an iPad, but the WSJ reports today that Cook thinks that’s the way it should be for all of us – and he believes the partnership with IBM can help make that vision a reality. HBO’s Game of Thrones Ascent game arrives on iPhone — Following a release for iPad back in March, HBO’s Game of Thrones Ascent game developed by Disruptor Beam & Kongregate is now available for iPhone. The game already racked up around 2,500,000 players on Facebook and the web before making its way to iPad in March, and it comes to the App Store with new art, optimised imagery for Retina displays, and Game Center leaderboards. Revolution 60: All-female action adventure — What happens when a mostly female development team comes together to create an action-adventure game staffed entirely by female characters? Revolution 60 by Giant Spacekat (US$6.99, try then in-app buy) happens. It’s a touch-based iPad story-driven take (pictured above) on Heavy Rain and Mass Effect. You play Holiday, an assassin faced with a more morally complex landscape than you normally encounter in gaming titles. Should Holiday support her friends or fix her attention on the mission? It’s a little bit transgressive, a little bit feminist. The stakes are high… but it’s not yet available in the NZ App Store. Hours, the world’s simplest time-tracking app — Anyone who has ever had the misfortune to have to use a corporate hours-tracking/billing system will know that they typically give every impression of being designed by an enraged gorilla working to a spec provided by a sadistic accountant. Tapity, which won an Apple Design Award back in 2011 for “the ultimate app for students” Grade, just launched Hours, a simple colour-coded app it says aims to take the pain out of time-tracking. Google releases official Analytics app for iPhone with Real Time reports — Google has added yet another official application to its iOS App Store portfolio: Google Analytics. Analytics is Google’s popular service that allows website owners to manage and view data such as page views, demographics, and the technologies users utilise to access the website. The iPhone app also has the neat Real Time reports feature that allows website owners to view how many people are on the website at the current time. Apple’s deal with IBM is a strategic strike in a larger war — TUAW’s takes is that Enterprise sales aren’t terribly exciting to most. So while there are folks out there underwhelmed by the deal, that’s not to say the deal itself lacks significance. Apple has historically lacked an enterprise focus, though this has changed considerably in recent years. The deal with IBM therefore represents just the latest step Apple is making towards getting iOS devices out and into as many hands as possible. A lickety-split Mac app for stop-motion video creation — Briefly (Mac App Store link) is a one-trick pony with a limited use case, but the trick it performs is pretty slick and if it suits your needs there may be nothing else you need. Simply put, Briefly (NZ$18.99) takes a set of photographs and sews them into a single stop-motion video. Microsoft to cut workforce by 18,000 — Current Microsoft CEO Satya Nadella has a reputation as someone who cuts middle management. Microsoft is going through some major turbulence. Today it has announced major layoffs, beginning with 13,000 positions to go immediately, with a total of 18,000 expecting to find themselves out of a job sometime during 2014. Atmospheric space roguelike Out There gets a huge update, is coming to Mac — France’s Mi Clos Studio once released a charming little game called Out There that scratched a lot of the same itches. Like a randomised choose-your-own-adventure novel with resource management, Out There allowed you to explore alien universes, learn extraterrestrial languages, fight an evil alien civilisation, and more. Now Out There isn’t just getting a sizeable update … it’s also coming to the Mac. Epic Games releases Unreal Engine 4.3 with Metal API support on iOS and much more — Epic Games has announced Unreal Engine 4.3, the latest version of their gaming engine technology, which includes over 500 updates. Included in the latest version of Unreal Engine is support for Apple’s new Metal API for game developers, first introduced last month at WWDC, for code compiled with the Xcode 6 beta. Unreal Engine launched version 4.0 earlier this year introducing its current subscription model for developers as well as Mac support. Overcast is a winning podcast app — Famous developer Marco Arment has returned to iOS development with a carefully designed and extremely functional podcast player (above) highlighted by excellent and flexible playlists. [I do love podcasts!] 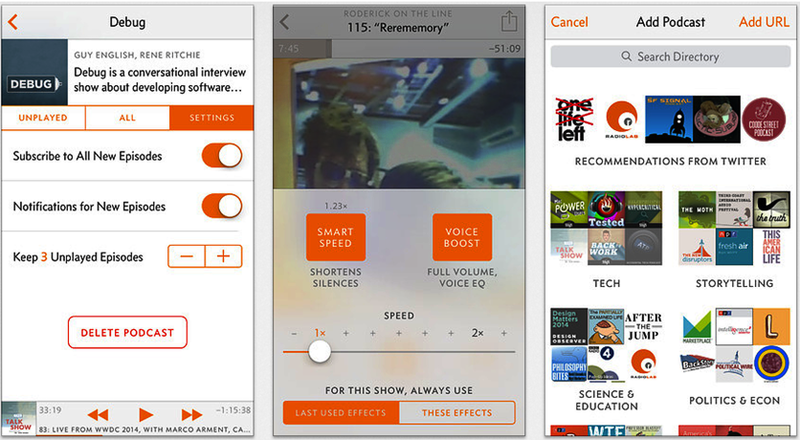 The app is free but a $6.99 in-app purchase unlocks loads of features. Automatic Link works with your iPhone to make you a better driver — Needing the Automatic Link accessory and via the eponymous iOS app, third-party firm Automatic takes smartphone-to-car integration to the next level, empowering users to save gas, improve driving habits and keep tabs on automobile health with an interactive mobile experience. Brightly brings personal UV tracking to iOS, PayPal adds support for loyalty cards — Sam Oliver writes that the App Store added two [US] vacation-season updates on Tuesday, with Brightly aiming to help iPhone owners avoid getting sunburn while soaking up the summer sun [it’s not available in NZ yet, darn!] , while PayPal continued to expand its payments empire by adding support for virtual loyalty cards. Boring Beatle’s app — The Guardian reports Paul McCartney has released five of his classic albums as iPad apps, offering remastered audio tracks, videos, interviews, photos, and artwork from both albums and singles. Apple announces huge IBM partnership for enterprise services — Apple and IBM announced a new partnership yesterday that will see the companies collaborate to bring over 100 enterprise apps & cloud services to the iPhone and iPad and launch a new AppleCare service specifically for enterprise customers. The products will be branded ‘IBM MobileFirst for iOS Solutions’ and IBM will also soon sell iPhones and iPads to enterprise customers along with the new services– I wrote about this yesterday on the NZ Herald online. Here’s Tim Cook’s memo to Apple staff about the new venture. 9to5Mac has 7 reasons why it’s a big deal., while analysts Piper Jaffray don’t see it as a big deal. Here’s Apple’s actual announcement. Apple agrees to $400 million settlement in ebook price-fixing case — Apple has agreed to an approximately $400 million settlement as part of the high-profile ebook pricing fixing federal court case that would cover consumer damages and civil penalties for the 33 states involved. Attorney General Eric T. Schneiderman made an announcement detailing the settlement that was also discovered in documents filed with the courts. Adobe releases free font Source Han Sans — To celebrate its 25th year of typeface development, Adobe has released Source Han Sans (left), a new family of free, open source fonts that harmonise East Asian and Latin font designs. More than three years in the making, this is one of Adobe’s most complex font projects. It required cooperation among five different companies to accurately represent the more than 65,000 glyphs (characters) required for typesetting in the Chinese, Japanese and Korean (CJK) languages. You can get it for yourself from here, in 7 weights, but you need to set up a free subscription. SnapNDrag Pro 3.5.6 review: A superb Mac app for organising and annotating your screenshots — SnapNDrag Pro (NZ$12.99 in the Mac App Store) simplifies both the screenshot and organization processes and as a bonus, tracks annotations you make to your images. Here’s Macworld’s review. Five apps that help Windows users feel at home on Macs — Here’s an interesting PC World article for switchers to Mac. 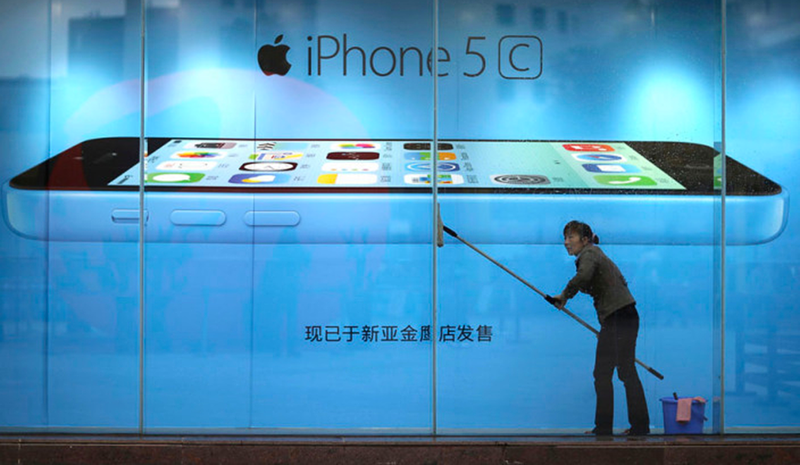 iPhone 5s remains world’s best-selling phone, iPhone 5c at no5 — Sales channel data from 35 countries compiled by Counterpoint shows the iPhone 5s remained the world’s best-selling phone as of May, some eight months after its launch. This backs up a report from ABI Research that the phone had retained the number one slot through Q1. Mobile shopping to reach near $50B in 2014 as iPad retains 80 % share of online orders — Apple continues to dominate as the platform of choice among mobile buyers, with iOS representing 54% of all phone orders and 80% of tablet transactions as the market approaches $50 billion this year. Apple updates iOS developer statistics, claims 90% adoption rate for iOS 7 — An update to one of Apple’s iOS developer pages today indicates the latest version of the company’s mobile operating system has reached 90% adoption among users. That’s up about 15% since December of last year – by then, three quarters of users had upgraded. Apple takes iPhone and iPad trade-in program to Australia with credit up to A$250 — Apple has announced an expansion of its iPhone and iPad trade-in program to cover customers in Australia, who can now bring older iPhones and iPads to receive up to A$250 to put toward a new device purchase. Now you can see your Facebook friends’ confessions on Secret — Anonymous app Secret doesn’t want to be a playground for early tech adopters anymore. Six months in, Secret’s founders have grander ideas in mind for the controversial service, starting with friend-finding. BloomSky’s backyard weather stations hope to crowdsource the forecast — The BloomSky mobile app will be free for anyone to use, but pulls its hyperlocal weather data from the network of BloomSky weather stations [of which there’d be few in NZ, but watch this space, but if you’re travelling to San Francisco …]. 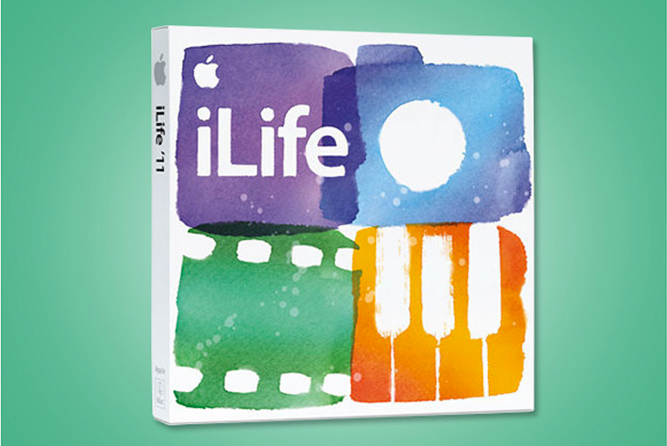 With iPhoto’s demise, writing may be on the wall for iLife — Ted Landau writes that Apple’s iLife consumer-level suite of apps has changed dramatically over the years. It has contained as few as three apps and as many as six. It’s cost as much as US$79 and as little as zero. It’s been packaged both as an integrated software collection and as a loose confederacy of disparate apps. And now, in its latest evolutionary shift, it’s been placed on the endangered software list, with a reasonable probability that it will, in the not too distant future, go extinct altogether. Ten things everyone should know how to do with a word processor — Jeffery Battersby reckons you don’t use half the tools in your word processing app, whether it’s Microsoft Word, Apple’s own Pages, or Google Docs – and maybe even less than half. But without all those bells and whistles you’ve been ignoring, that app is little more than a glorified text editor. A big part of owning a tool is knowing how to use it effectively. So if you ever use Word, Pages, or Google Docs, you owe it to yourself to know how to do a few essential things with it. Here are the ten of the most essential. Apple begins encrypting iCloud email sent between providers — Last month Apple confirmed it would soon beef up encryption for iCloud email following a report detailing security flaws in major email services. While Apple previously encrypted emails sent between its own iCloud customers, now the company has enabled encryption for emails in transit between iCloud and third-party services for me.com and mac.com email addresses. The change is documented on Google’s transparency website that shows the percentage of emails encrypted in transit for both inbound and outbound email exchanges. Email to Tim Cook prompted change of Apple’s ‘on hold’ music quality — In a recent thread on Reddit, one Apple customer describes an experience in which he effected change in Apple’s daily operations, specifically as it pertains to “on hold” music, after contacting CEO Tim Cook via email. Model number for Apple’s mystery iBeacon device may hint at upgrade to existing hardware — A new Apple device revealed earlier this week in certification documents filed with the FCC appears to be the first in a new line of iBeacon-specific hardware, but the mysterious product’s model number suggests it may instead be an extension of one of Apple’s existing products. Apple doled out more than $3B to over 7,000 US suppliers in 2013 — After announcing cooperation with the White House’s SupplierPay initiative, Apple on Friday released domestic supply chain expenditure figures for the first time, saying it spent more than US$3 billion with over 7000 US suppliers last year. The numbers, along with some backstory on the small company responsible for the Mac Pro’s aluminum enclosure, were revealed in a statement provided to TechCrunch following SVP of Operations Jeff Williams’ meeting with President Barack Obama over the “SupplierPay” initiative. 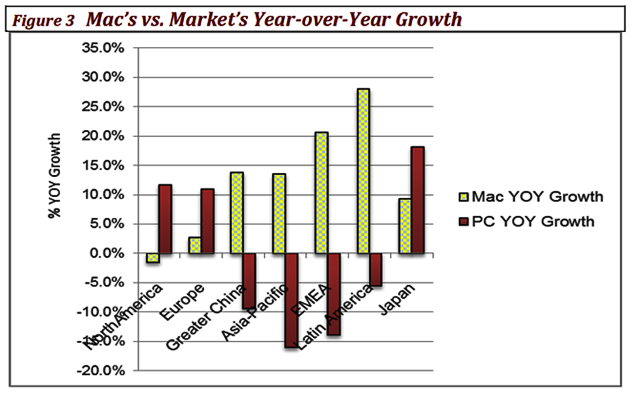 Surprising sales in emerging markets keep Mac growth ahead of PC market — Sales growth for Apple’s Mac platform has outpaced the PC market for the 31st time in the past 32 quarters, keeping the trend alive. But surprisingly, Apple’s premium-priced computers were actually driven by growth in emerging markets like China and Latin America last quarter, new data shows (chart, above, from Needham & Co). Expensive lunch for charity — Apple fans have another chance at a sit-down with a member of the company’s senior leadership, as internet software and services chief Eddy Cue has put one hour of his time up for auction — and sweetened the pot with a 13-inch MacBook Air — in the Fortune 500 equivalent of a charity dunk tank. Background removal tool — Who hasn’t struggled with knocking out the background of a photo in Photoshop? Zooming in, finely tuning your tool to be the proper size and then frustratingly highlighting the areas you want to save or delete—what a pain! PhotoScissors 1.1 seeks to eliminate the hassle by providing a simple background removal tool. Macworld reviews it. Nine things everyone should know how to do with a spreadsheet — Rob Griffiths thinks that as a Mac user, you’ve got plenty of choices among spreadsheet apps, but for most of us the choice comes down to three: Microsoft’s Excel 2011; Apple’s Numbers (version 3.2); and the browser-based Sheets section of Google Docs. Here are 9 things you should be able to do with any spreadsheet you have, although he specifies Numbers and Excel. I’ve been away a couple of weeks so here are ten tips to get everyone back up to speed, and to celebrate the new site for Mac NZ, thanks to the hard work and ingenuity of Paul Luker. First 5 for Mac, next for iOS. 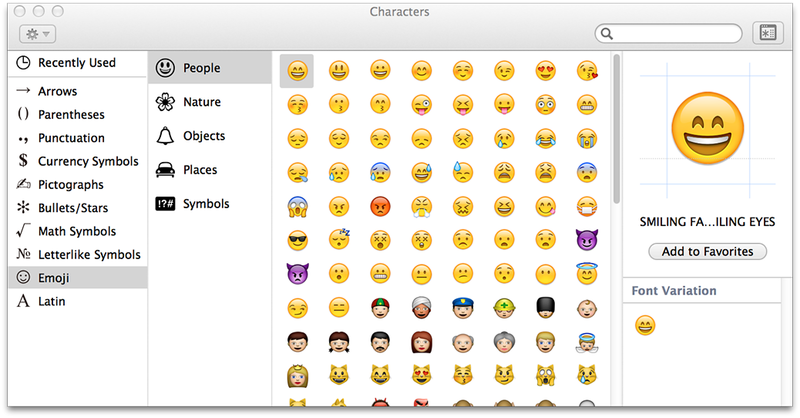 1/ Secret Emoji characters in Mavericks — Whenever you are in a text field in Mavericks, just press Command-Control-Space and an emoji panel will appear. Then click any of the Emoji icons to insert it at the current position in the text. 2/ Navigate the Emojis — For those who find it quicker to use the keyboard, you can navigate between the Emoji icons with the arrow keys, and shift left and right between the different sections using Tab and Shift-Tab respectively. If you know what you are looking for, just begin to type the name, and the Emoji will filter as you type. Give it a try with ‘dog’ or ‘kiss’. 3/ Constant Emojis — By default, the Emoji panel disappears once you choose an icon. However, if you find yourself using it a lot, just drag it away from the text field to ‘detach’ it, and it stays open until you click the close button in the top left. 5/ Make a face to ignore in iPhoto — Doing everything with the keyboard makes a lot faster. If you’re using the Find Faces feature and skip faces you don’t know (because you don’t want to pause to use the mouse), the next time you click on Find Faces, you’ll be presented with those same unknown faces over and over again. They build up and always get presented in the same order, so you end up spending a lot of time skipping them before you get to new faces. Five tips for iOS: There are several ways to decline voice calls on iPhone. 1/ Send a caller instantly to voicemail — When a call comes in, just double-click the Sleep/Wake button along the top of your iPhone or tap the red Decline button on the touchscreen. Your iPhone will stop ringing, and your caller will hear the prerecorded tones of your voicemail greeting. 2/ Let a caller (eventually) go to voicemail — If your iPhone starts ringing, you see the caller ID, and you just don’t want to take the call but you don’t want your caller thinking that you’re blowing them off, either, you can single-clickthe Sleep/Wake button to silence your phone (or single-click one of the volume buttons). Doing either will silence your iPhone’s ringer, but your caller will still hear your phone ringing. Eventually, the call will go to voicemail, and your caller will figure out you couldn’t get to your phone. 3/ Decline a call with a text message — If you don’t want to decline a call without letting the caller know you’ll ring back, you can send them a text message such as ‘Can’t talk right now, call later?’ while at the same time declining the call. This is less rude than just terminating the call. Tap the ‘Message’ button to send a pre-written text message to a caller you’d rather dodge. When your iPhone starts ringing, you’ll see the standard “slide to answer” slider at the bottom of the screen. Just above the slider and to the right, you’ll see a Message button. Tap that button, and you can choose between a series of canned text messages, including “I’ll call you later,” “I’m on my way,” and “What’s up?” Tap a message, and it’ll be sent instantly to your caller, just as they’re hearing your voicemail message. You can tap “Custom…” to compose a custom message on the fly, but I find it better to create your own pre-written messages by tapping Settings>Phone> Reply with Message. 4/ Decline a call, then get a reminder — If a call comes in that you really do want to answer, just not right this second, tap ‘Remind Me’ to get a reminder about a missed call later in the day, or once you arrive (or leave) a specific location. This button is just above the ‘slide to answer’ slider. Doing so sends your caller to voicemail, and you’ll get a choice: Get a reminder about the missed call in a) an hour, b) when you leave your current location, c) when you get home, or d) when you arrive at work. 5/ Customise a reminder — Want to change the time of your reminder? Just open the Reminders app on your iPhone, find the missed-call reminder that your iPhone just created (tap one of the reminder lists, or use the search box), tap it, then tap any of the reminder settings (such as the time or the location) that you’d like to change. Agam Shah writes that Apple fans may not be the only ones waiting for a new iPhone later this year—semiconductor industry revenue will get a boost from it too, according to Gartner. The iPhone release will spark semiconductor demand, Gartner said in a statement. Based on growing demand for the iPhone and other hardware, the research firm is projecting semiconductor revenue to be US$336 billion this year, growing 6.7% compared to 2013, outpacing the previous forecast of 5.4% made in the first quarter. Adobe is continuing to add features to its existing apps with the release of Adobe Photoshop Express 3.4. The updated version of Photoshop Express for iPhone and iPad specifically four new features: a new blemish removal tool, the ability to increase or decrease filter strength, a new defog tool to remove haziness, and the ability to import photos in the RAW format. Google has updated its Maps application for iPhone and iPad to version 3.2 introducing new features and improvements. 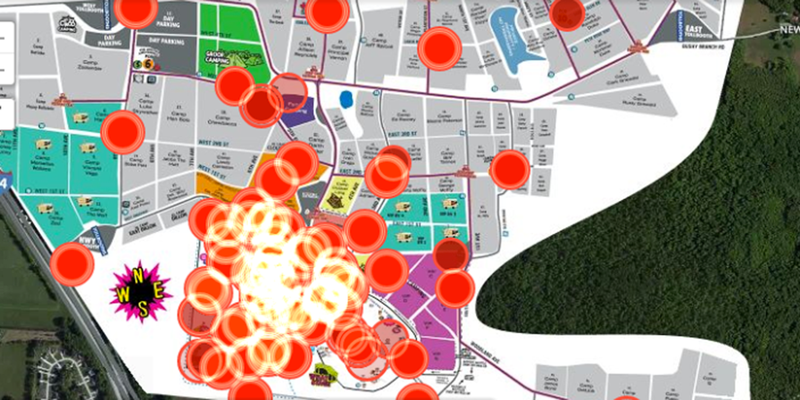 now supports viewing search results with descriptions directly on the map view. Gmail users will notice appointments and reservations with addresses will now appear the map view as well. The update supports changing between the map view of results and the list view of results and features an explore view for discovering new locations to try out. Apple works hard to ensure that Macs, iPhones, iPods, and iPads can be used to their full extent by people who are deaf or blind, for example. In response to the reporting (Philip Elmer-DeWitt has a good summary of the original reporting and takedowns at Fortune), Mark A. Riccobono, President of the National Federation of the Blind, has published a comprehensive blog post describing Apple’s work on accessibility, the technology industry as a whole, the resolution regarding iOS device accessibility, and what can be done to improve accessibility of third-party apps into the future. 9to5Mac has more. But Apple denies the claims, stating that “privacy is built into [its] products and services from the earliest stages of design. We work tirelessly to deliver the most secure hardware and software in the world.” Apple also explains that it uses industry leading encryption to protect location data, and says that all location data is stored solely on the iPhone, not on Apple’s servers. Apple goes on to, once again, explain that it does not work with government agencies to spy on its customers. Jason Snell writes about the forthcoming major update to OS X. It generally means that many of the apps included with the operating system also get major updates — or at least the biggest updates they’re likely to get until the next major operating-system release. In OS X Yosemite, due this fall, several major Apple apps have received upgrades both big and small. I’ve been using a pre-release version of Yosemite (on an Apple-supplied MacBook Pro) for the past month and have had a chance to spend a little time with Mail, Messages, and Calendar. Here’s a look at what’s new. Apple has launched a blog on its official developer website to promote the new Swift programming language. Swift, which was announced at WWDC 2014, is a successor to the Objective-C programming language for iOS and OS X, and it provides new, cleaner, and more robust tools for developing applications. The blog will be dedicated to Apple engineers working on Swift sharing tidbits behind the language’s development as well as hints. 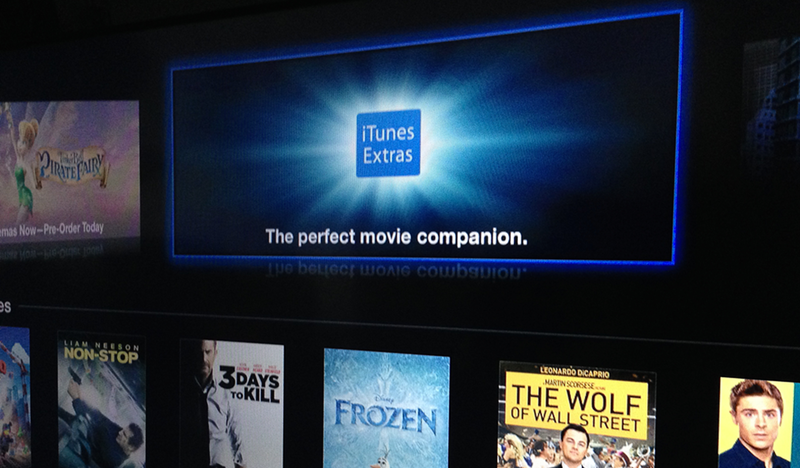 Apple today released iTunes version 11.3 and with it is making its iTunes Extras feature available for HD movies on Macs. Apple also announced the feature is now available for Apple TV with update 6.2 (and will arrive on iOS 8 this fall). Skitch is one of those apps you’re not quite sure what to make of. Part of the Evernote family, you can doodle all over photos and then share them with your friends. Skitch is truly a multi-purpose tool that lets you markup virtually any document. Love playing songs on your stringed instrument of choice but hate the process of learning them? Check out Capo, the Mac and iOS tool for quickly learning just about any song from your library. Nike is launching a brand new app called Nike Football (or Nike Soccer in the US), that will act as a hub for all things Nike Football from exclusive content and Q&A sessions with athletes to the latest product launches for the company’s line of football products. Nike is also including some social features that let users organise their own pick-up games, trash talk among friends and teammates, and more.